SALVADOR DALI YAY YAY YAY! Salvador Dali is the artist's name. Look him up. @The OP: I made that painting with tiles. It was really difficult. This painting is one of my favorites. 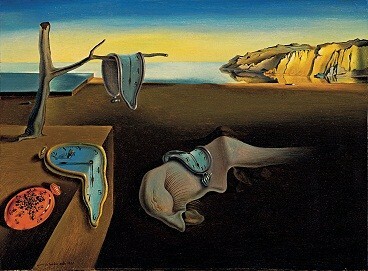 I admire Salvador Dali and Andy Warhol. I think Rael, who I know well, recognized me by my username, and posted this to make fun of me. Subject: Re: SALVADOR DALI YAY YAY YAY!